CBSN: Wave of the future, or a money-losing 'pet project'? Two years ago, David Rhodes surprised his employees. Since becoming president of CBS News, in 2011, Rhodes had worked on the executive row that lines the 57th Street side of the CBS Broadcast Center in Manhattan. But after deciding to launch CBSN — a free, online streaming news network — he moved to the CBS Digital headquarters in an adjacent building on 10th Avenue. For Rhodes, the move sent an important signal: "I moved into that building because I wanted people to know digital was important," he told CNNMoney. CBSN has since become a major selling point for CBS. 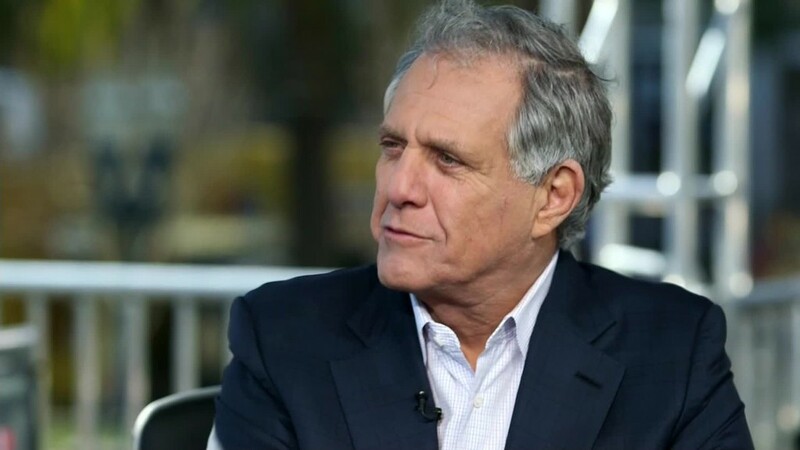 When Les Moonves, the chairman and CEO, talks to shareholders, he cites the digital network as one of the "catalysts for future growth" that "will drive earnings in the quarters and years to come." But across the industry, there is great skepticism. Television and digital news executives who spoke with CNNMoney doubt that CBSN has any meaningful revenue projection, and are confounded by the network's decision to pour money and resources into what they describe as an archaic business strategy with little chance of turning a profit. "I totally get that this is their pet project and they're very excited about it. But they've done precisely what you shouldn't do," one broadcast news executive told CNNMoney. "They've created a sub-standard cable network, stuck the most old-school television product into the digital space, unchanged, and just hoped for the best." In terms of programming, CBSN is old school. It looks like a 24-hour version of the CBS Evening News anchored by less familiar faces (with the exception of ABC and NBC veteran Josh Elliott). Even on the television people pay for, this is a tough business proposition. The difference with CBSN is, it's free. And therein lies the challenge. Cable news channels make the majority of their money from subscriber fees, which is the cost cable providers pay to carry a channel. Last year, for instance, sub fees accounted for roughly 62% of Fox News' projected revenue and roughly 66% of CNN's. Without a cable provider, CBSN doesn't see any of that money. Instead, CBSN relies on advertising. But digital advertising pays a fraction of what television advertising does. That means that in order to generate enough ad revenue to pay for its costs, let alone turn a profit, CBSN would need to draw more viewers than many cable channels do. "If CBSN is purely an online play and there's no cable carriage whatsoever, then they're dependent on advertising and that becomes a really rough business," said Paul Slavin, a television executive who spent 27 years at ABC News and oversaw ABC News Now, a similar 24-hour digital streaming service that shutdown in 2011. Nearly two years in, CBSN's audience is limited. The network declined to provide monthly viewership numbers. Instead, it pointed to "a record 13.85 million streams" for the two-week period of the Republican and Democratic National Conventions. That means that even during an abnormally strong period, CBSN is averaging just 41,000 streams an hour. Meanwhile, CBSN says it has a committed staff of 100 to 150 employees. That's not counting the increased input from CBS News producers, talent and staff who contribute to CBSN. "It is a deeply money-losing proposition," said another executive. "There is no business model, they're not getting any sub-fees for this thing, and no one is watching it." Rhodes and other CBS News executives took issue with these criticisms. They believe future television audiences are going to expect streaming content online, on mobile and on over-the-top services like Apple TV and Roku, and that by building a streaming news channel now CBS is positioning itself to be the leader in that space. "We are one of the most recognizable, credible news brands on these platforms," he said. Years down the road, he added, "this programming could be what audiences expect to find on streaming, and I think we're well positioned for that." Where CBSN finds promise is in the median age of its viewership, which is 38, and the average length of streams, which is 45 minutes on connected TV and 96 minutes on Apple TV. Rhodes and his colleagues noted that many of these viewers are what's known as "cord-cutters" or "cord-nevers," people who advertisers can't reach on television because they've either abandoned traditional television or never watched it in the first place. "There's a whole different audience out there," Nancy Lane, the Senior Executive Producer for CBS News Digital, said. "We've expanded the universe of CBS." Without disclosing revenue, Rhodes said that "digital advertising has been pretty compelling for us economically." He also stressed that CBSN is not just linear, but includes on-demand content drawn from its 24-hour news stream, which provides additional advertising opportunities. Christy Tanner, the Senior Vice President and General Manager of CBS News Digital, also said "the company is very pleased with how well CBSN is being monetized right now." Andrew Heyward, who served as President of CBS News from 1996 until 2005, and describes himself as "a CBS booster," sees promise in the network's commitment to CBSN. "A skeptic might say, 'Who needs another cable news network?' I think to CBS's credit, in today's world having some sort of 24-hour cable news capability is important. You can't have a news organization that only manifests itself for a few hours a day," Heyward said. "The world is moving to streaming platforms, so it's logical for CBS News to do that," he continued. "In terms of the revenue potential, there are obviously ads attached to the linear and nonlinear experiences, and I'm sure there's also potential over time for sponsored programming and more original content." The on-air talent at CBS News also speaks enthusiastically about the addition of a 24-hour news outlet that allows them more opportunities to present their reporting. "CBSN is a vital part of CBS News and my future with the network," said Major Garrett, the Chief White House Correspondent for CBS News. "CBS News has to exist on all screens. CBSN carries out that mission with increasing aggressiveness and creativity every day. It is an enormous part of my day and I take it -- and the audience it serves -- very seriously." "I have no doubt this is part of the future and may well be all of the future in not too many years," he added. "Everything new elicits skepticism but I am a believer." Rhodes, too, is a believer. "It's uncharted waters," he said. "But even if it's small and early days for this format, there are a lot of marketers that want to be there. They know what we're offering may not be available anywhere else."